If you haven't been to Galt lately, stop on by! 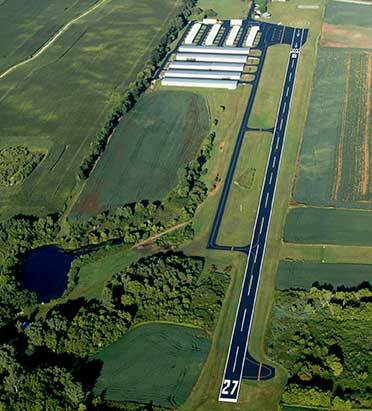 We have recently seal-coated and striped the entire airport including our 3000'x50' runway. Our stocked fishing pond, fire pit, and walking trails are available to our hangar tenants and customers. Go fishing for the afternoon, or take a relaxing walk around our beautiful grounds. Even on days you can’t fly there’s always something to do at Galt. What we're most proud of is the fact that our airport isn't just a gathering place for aviators....it's a community. The local EAA, Chapter 932, is very active and coordinates year-round family friendly events. Drop in, say hello, and we're sure you'll see what makes Galt a great place to be.